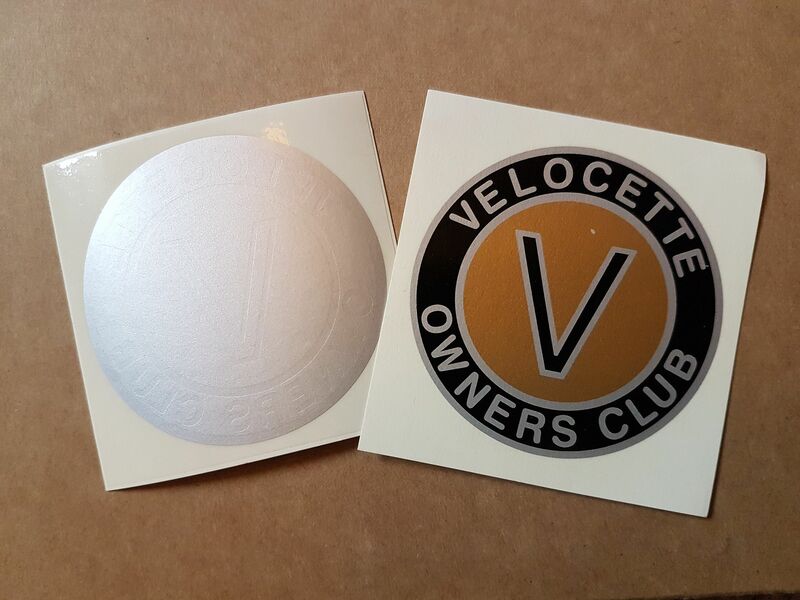 Here is a complete set of decals for the rigid Velocette models. 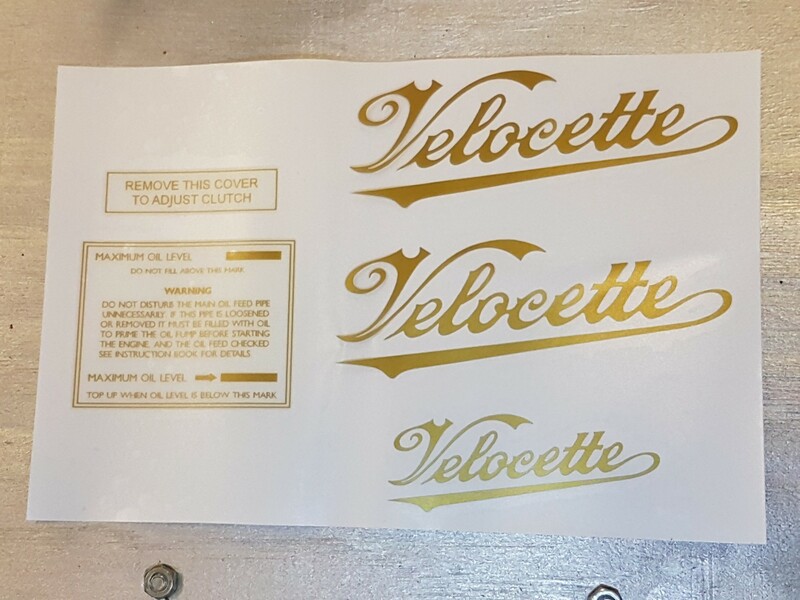 They are a very thin vinyl sticker not the original water slide version, can be applied to the bike and then lacquered over so to protect the decal. 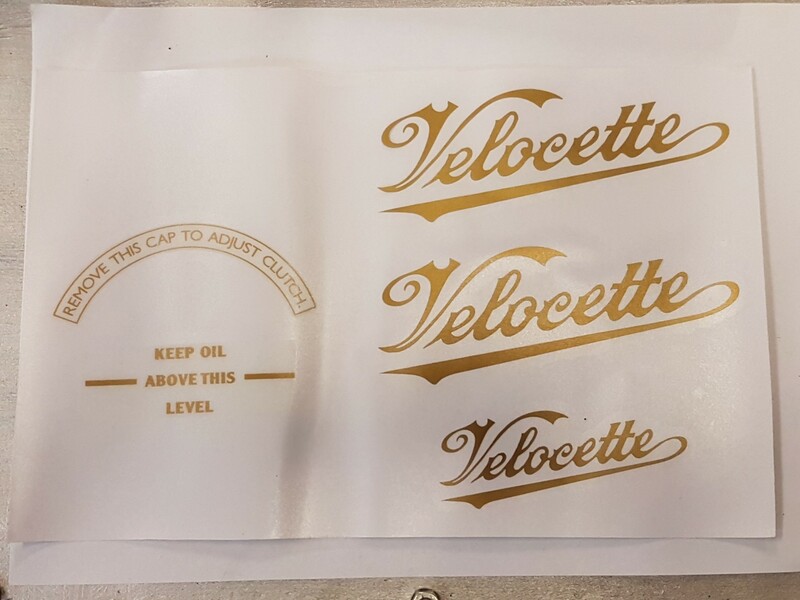 The set includes two petrol tank transfers, one mudguard, one clutch cover and one decal for the oil tank.